Nadia Karamcheva is an analyst at the Congressional Budget Office. Previously, she was a research associate at the Urban Institute. Her research interests cover a broad range of topics in labor economics and applied econometrics, with emphasis on retirement and how government policies influence individuals’ behavior. Her most recent work focuses on issues related to Social Security reform, private pensions and retirement income security. 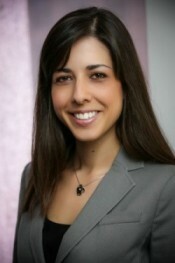 Dr. Karamcheva holds a B.A. degree from the American University in Bulgaria, with a double major in Economics and Business Administration and a minor in Mathematics, and M.A. and Ph.D. in Economics from Boston College.